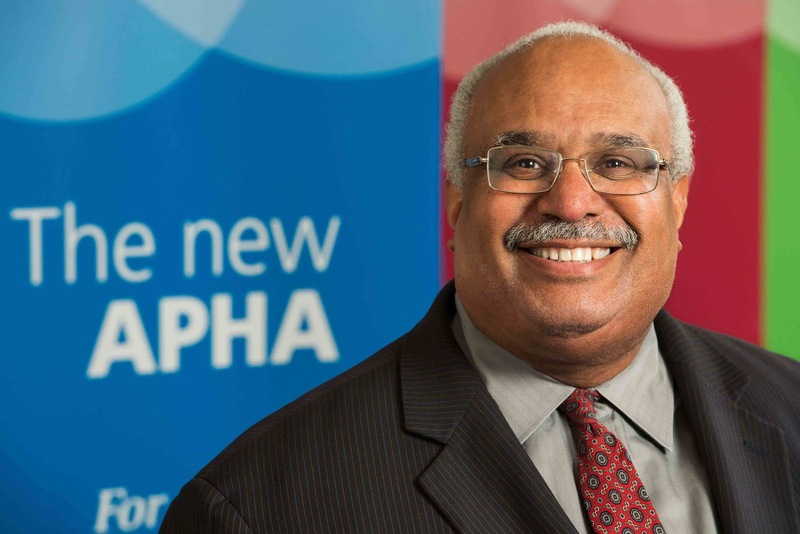 APHA Annual Meeting Blog: APHA’s Dr. Benjamin: Welcome to Chicago! I am so incredibly excited to welcome you all to my hometown — the great city of Chicago! 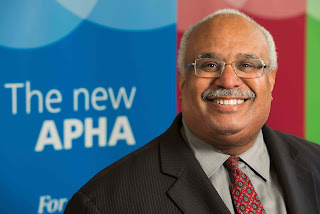 As I get ready to join thousands of fellow public health practitioners and supporters at this year’s 143rd APHA Annual Meeting and Exposition, I am especially looking forward to learning more about the innovative and often transformative public health work happening in my hometown. From improving birth outcomes to reducing childhood obesity to preventing gun-related violence, Chicago has a long list of public health accomplishments — many of which you can learn about during a variety of scientific sessions focused on public health efforts happening in Chicago. But did you know that Chicago is also home to some of the more famous moments in public health history? For example, some of you might remember from your high school reading list that the explosive novel “The Jungle” was based on events in the Windy City. The novel pulled back the curtain on the unimaginable lack of sanitary conditions inside the meatpacking industry, as well as its systemic exploitation of workers, and eventually led to new federal food safety laws. (Though, according to the history books, the novel’s author Upton Sinclair had originally written “The Jungle” to help improve labor conditions, not food safety. Sinclair famously said: “I aimed at the public’s heart and by accident I hit it in the stomach.”) Fast forward nearly 100 years later and Illinois state public health laboratorians used sophisticated genetic testing technology for the first time to identify the exact beef that caused a multi-state E. coli outbreak and sickened hundreds of residents. Of course, decades before Sinclair’s novel hit the shelves, public health workers were well aware of the dangers that the meatpacking industry posed to public health. In the 1870s, newly appointed Chicago Health Commissioner Oscar Coleman De Wolf called for sanitary inspections at slaughterhouses. De Wolf confronted the meatpacking industry in court and fought their political allies, eventually winning passage of a food safety law that was, unfortunately, largely unenforceable. Still, a century later, Illinois public health workers carry on the tradition of standing up for community health. For instance, public health workers recently celebrated the 70th anniversary of community water fluoridation, which first began in Illinois in the city of Evanston in 1947. By 1968, thanks to the dedication of public health workers, about 6 million Illinois residents were reaping the oral health benefits of fluoride. Some of you might also remember from your history books, Hull House, which opened in the late 1800s in the Near West Side community of Chicago and is often referred to as the first settlement house in the United States. Hull House was established to help some of the city’s most vulnerable residents, offering kindergarten and day care to single mothers, employment services, language and citizenship classes, and much more. Hull House also attracted some of the most innovative women advocates in the country, who studied the social and economic conditions in the surrounding neighborhoods and became advocates for child labor laws, compulsory education, and the protection of women and children. In fact, one of Hull House’s famous reformers was Alice Hamilton, a pioneer in the fields of toxicology and occupational health and safety. More than a century later, Chicago’s public health workers continue to confront the social determinants of health that shape people’s lives and opportunities. For example, a few years ago, the Chicago Department of Public Health released a new public health agenda that zeroes in on issues such as violence prevention, healthy housing and access to care. Chicago is also the birthplace of CeaseFire, a pioneering public health approach to preventing gun-related violence and death — a topic that sadly always seems to be front-page news. CeaseFire uses tools quite familiar in the public health field: community mobilization, public education, and social services. The prevention model, which directly engages and trains community members to anticipate where violence might occur and act to prevent it, has now been adopted around the country. And it’s producing positive results: For example, a study of the model in seven Chicago communities found reductions in shootings and killings of 41 percent to 73 percent. Now that’s public health in action. So, now that I’ve made it (overly) clear just how proud I am to welcome thousands of public health workers from around the globe to Chicago, I’ll stop with all the hometown boasting. Let’s just say that I can’t wait to step up to the podium at this year’s Opening General Session and look out at all the dedicated practitioners who tirelessly labor in their own communities to make their own public health histories and create a healthier future for all.